This package is currently closed. Upgrades to middle and upper deck cabins are available on request. Independent extension in Lisbon available. What to Expect This moderately-paced, escorted river cruise/tour includes a reasonable amount of walking or hiking and requires an average level of physical fitness. Experience Portugal’s River of Gold, and cruise the Douro River in comfort on your ship, MS Gil Eanes and CroisiEurope’s newest vessel MS Amalia Rodrigues. The Douro River Valley is one of the world’s oldest demarcated wine regions, where you’ll sample the region’s famous Port wine. Dine on superb French cuisine paired with an unlimited selection of wine and beer. 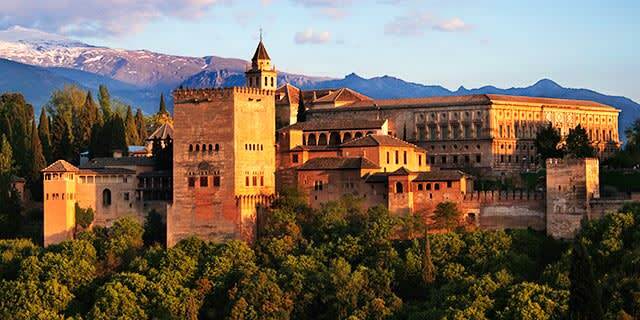 Take part in daily shore excursions, visit UNESCO World Heritage sites and stroll through villages and palaces. After dinner, enjoy local entertainment such as traditional Portuguese Fado music and flamenco. Take advantage of your already-included airfare to enjoy more of Portugal by extending your stay in the capital city of Lisbon. 1. Cabin upgrades are on request. We will confirm your cabin selection usually within 2 business days of your reservation. If the category you selected is unavailable, you'll have the option to select a different category or cancel your reservation and receive a refund of your deposit. Accommodations: 7 nights on board MS Amalia Rodrigues on Aug 23, 2019, MS Gil Eanes on all other departures. Included meals: Dinner. Arrive in Porto, be met and transferred to your river cruise ship for boarding by 6:00 pm. Full Day Itinerary: Porto is the second largest city in Portugal, built on the steep banks of the Douro River, a mixture of grey facades and red tiles, interspersed with unusual architectural masterpieces, including the Dom Luis I Bridge built between 1881 and 1886 by French engineer Theophile Seyrig, one of Gustave Eiffel’s pupils. The historical center is a UNESCO World Heritage site. Depart by coach from the Villa Nova de Gaia Quay, and visit the Palácio da Bolsa (Stock Exchange Building), including the former Tribunal Room, the Golden Room and the Arab Room. Then visit the Igreja de São Francisco, also known as the Golden Church, founded by Franciscan monks in the 12th century, and modified in the 15th and 16th centuries with a Baroque interior and Gothic windows. Cross the Dom Luis I Bridge again and visit a wine cellar for a tasting of the famous Port wine. Return to the ship in time for lunch. Enjoy the afternoon at leisure in Porto. After dinner, there will be traditional Portuguese Fado music. Full Day Itinerary: This morning, board your coach to drive from Porto to Guimarães. Tour the university town on foot to discover its historical treasures together with your guide. Visit the Nossa Senhora de Oliveira Church, an important religious structure. Walk through the labyrinth of lanes and picturesque plazas framed by 14th century buildings. Continue to the striking Palace of the Dukes of Braganza, a medieval estate and former residence of the first Dukes of Branganza. Return to Porto by coach. 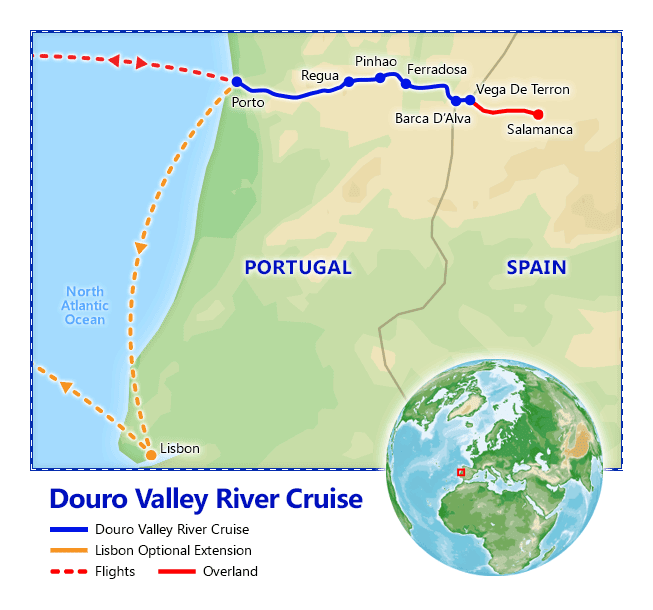 Enjoy the afternoon cruising along the Douro River. After dinner, partake in some dancing on board. Full Day Itinerary: Depart by coach for Vila Real, a little town set among the vineyards. After a short tour, continue to Mateus, a small town with its famous manor of the Counts of Vila Real, as well as the rosé wine produced on the property. Visit the Manor Solar of Mateus, and stroll through the beautiful gardens. Return to the ship for lunch and an afternoon of sailing. After dinner on board, enjoy a Flamenco performance. Full Day Itinerary: Depart by coach for a full day excursion to Salamanca, Spain, a UNESCO World Heritage site since 1988. Visit the cathedral, and see the many extensions which created a mixture of style from late Gothic to Baroque and Renaissance. Then, visit the University of Salamanca, founded in 1218. Also known as “Escuelas Mayores”, the University building has an ornate gate with a famous design of a frog atop a skull, a symbol of lust being punished after death. Lunch will be at local restaurant (drinks not included). Enjoy some free time in Salamanca in the afternoon. Return to the ship in Vega de Terron for dinner and entertainment. Full Day Itinerary: Spend the morning cruising and lunch on board. Upon arrival in Ferradosa, depart by coach for your excursion along the Porto wine route, along the Douro River all the way to the Spanish border. Visit the two small towns of San Salvador do Mundo and São Joao da Pesqueria in the Rio Toro valley. Explore the arcaded main square of São Joao da Pesqueria, as well as the chapel and balconied white houses. Visit a quinta (wine cellar) for a Port wine tasting. Return to ship to board in Pinhoa or Folgosa. This evening, there will be a festive gala dinner on board. Full Day Itinerary: After breakfast on board, depart by coach for a guided walking tour of the town of Lamego. Visit the Nossa Senhora dos Remedios Sanctuary, an 18th century church. See the white façade, a baroque staircase with 686 steps leading to a shrine built in the rocaille style and adorned with azulejos. The temple provides breathtaking views of the city and the surrounding mountains. Return to the ship for lunch and an afternoon of cruising. After dinner this evening, enjoy traditional Portuguese entertainment. Take advantage of your already included international airfare and add two days in Lisbon, the capital of Portugal. Your extension includes 2 night accommodations with breakfast daily. Accommodations: 2 nights at Turim Terreiro do Paço Hotel or similar. Included meals: Breakfast. Transfer to the airport for your short flight to Lisbon. 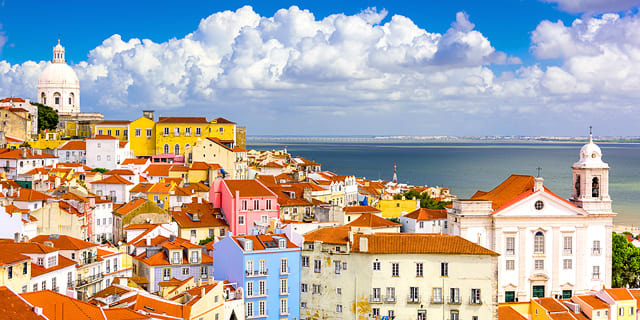 Full Day Itinerary: Enjoy the day in Lisbon, visiting World Heritage monuments and museums. Alternatively, your hotel concierge can assist to book optional tours to the fairy tale palaces in Sintra. Transfer independently to the airport for your return flight to the USA. Turim Terreiro do Paço Hotel is conveniently located close to the Terreiro do Paço Metro Station, serving the Lisbon International Airport. Situated in the heart of the Baixa (downtown) area, it is just a short walk to Lisbon Cathedral, Castelo de São Jorge, and many other attractions, restaurants, cafés and shops. CroisiEurope’s brand new MS Amalia Rodrigues, launching in April 2019, is a superior first class cruise ship. It is spacious, and bright with a passenger capacity of 132 with 66 cabins. Once on board, you will find all of the amenities and comforts which distinguish CroisiEurope’s fleet, and the outstanding and friendly service which is the trademark of the staff and crew. CroisiEurope’s cruises always start with a welcoming cocktail reception, where you’ll meet the captain, crew and staff of your boat. CroisiEurope’s MS Gil Eanes is a superior first class cruise ship. It is spacious, and bright with a passenger capacity of 132 with 66 cabins. Once on board, you will find all of the amenities and comforts which distinguish CroisiEurope’s fleet, and the outstanding and friendly service which is the trademark of the staff and crew. CroisiEurope’s cruises always start with a welcoming cocktail reception, where you’ll meet the captain, crew and staff of your boat. Can I bring my kids? Are there any age restrictions? To book this package, you must be 21 or older. Your traveling companions must be 17 or older at time of travel. What should I know about Spain? Check out our guide for travel tips, the best time to go, blog posts, videos, and more. What should I know about Portugal? Check out our guide for travel tips, the best time to go, blog posts, videos, and more.